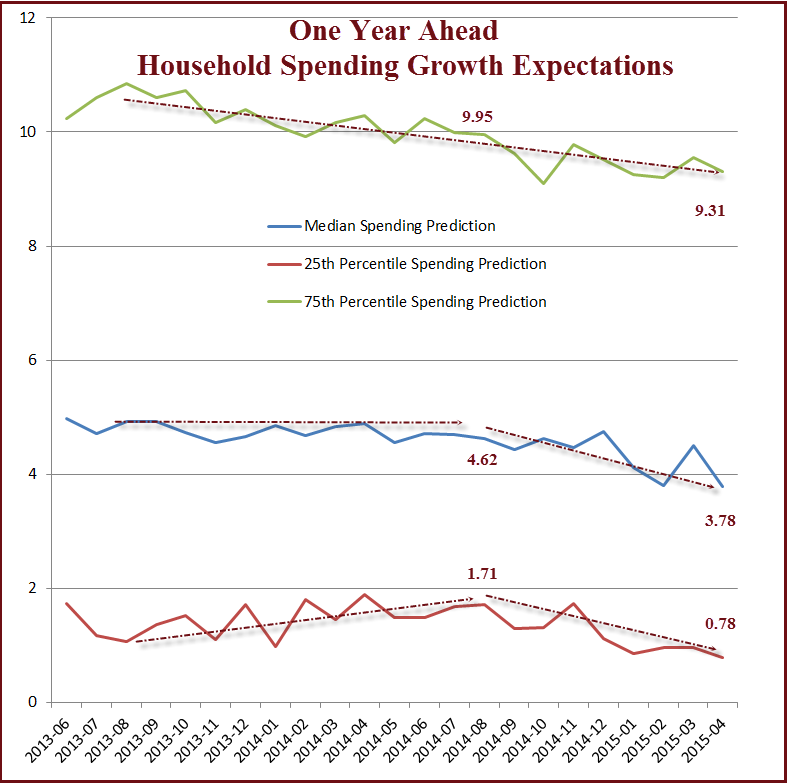 Mish's Global Economic Trend Analysis: Household Spending Growth Expectations Plunge; Recession Already Started? 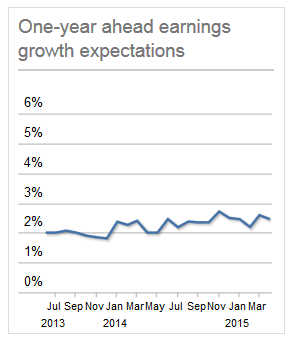 In the microeconomic data overview, the Fed provided charts for the first three sets of expectations. 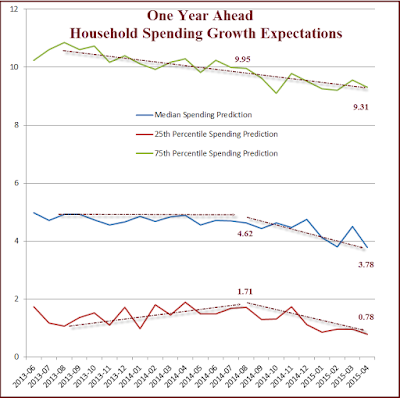 I downloaded the data and created my own chart of spending expectations. First let's consider some details from the report. Emphasis mine. 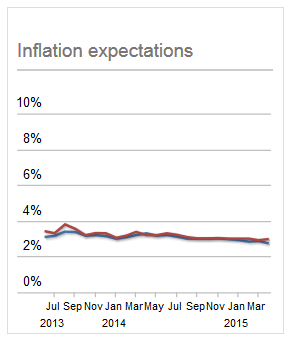 The results from the April 2015 Survey of Consumer Expectations indicate that one-year ahead inflation expectations fell while three-year ahead inflation expectation increased. The median one-year and three-year ahead expected rates of inflation now stand at 2.7% and 3.0%, respectively. 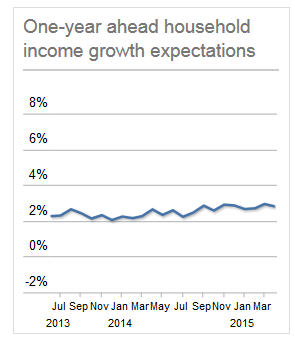 While earnings and household income growth expectations were largely unchanged, median household spending growth expectations retreated significantly from the last month. In general, I do not place much faith in these estimates, especially inflation expectations. That said, the spending estimates do ring true with weak economic data that we have seen for six months.